Kaes Maish’s life was turned upside-down nearly 5 years ago when he was diagnosed with cancer. The father of four has been through the harsh treatments — chemo, radiation and most recently proton therapy — but each time he takes a step forward, it seems to knock him two steps back. Luis Scola and the Maish family. 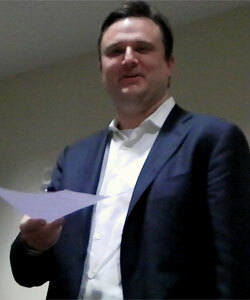 Eight months ago, he learned that the cancer had become leukemia. 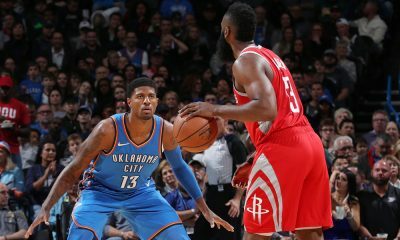 Watching the Rockets has been a nice escape, helping the family forget for a few hours about the daily struggle. Their favorite player? 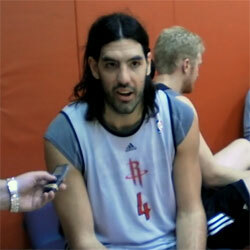 That’s an easy one — Luis Scola. 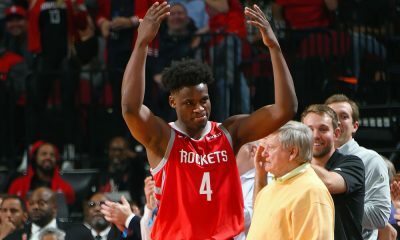 Back in February, Rockets Director of Marketing Ken Sheirr invited Kaes and his daughter to a game against the Warriors, and the team surprised them midway through the contest with a Scola jersey autographed by Luis. They didn’t forget the situation either. Ken asked periodically how Kaes was doing, and when the preseason got going, invited him and his family out to another game… only this time, the seating location was a bit of a shock. Row A, Seats 1, 2, 3 and 4. The vantage point was great, they caught a Rockets hat and the Cavaliers Daniel Gibson even gave one of his sons a headband. 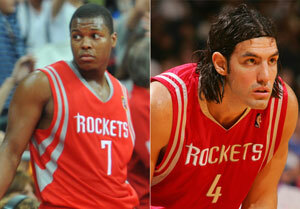 There was only one problem — Scola didn’t play in the game. 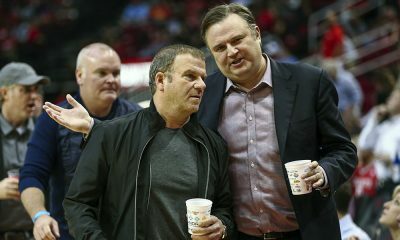 Rockets coach Rick Adelman wanted to rest his starting frontcourt before a brutally long flight to China that night. 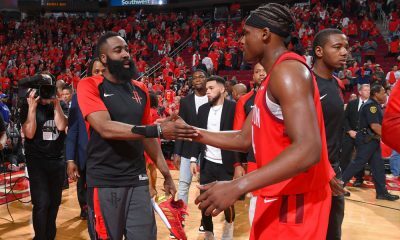 The Rockets took care of that, too. 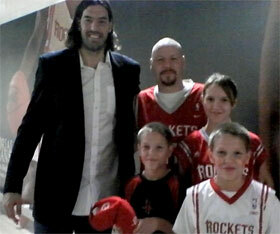 The organization arranged for his family to meet Scola outside the locker room after the game. 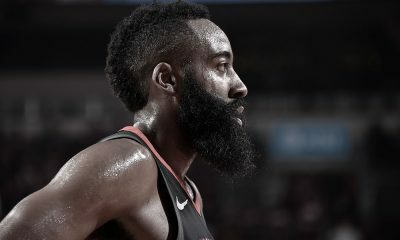 Maish said all he could think about afterwards was just how grateful he was for the experience, wanting to specifically thank Ken as well as Gretchen Sheirr and Ragnar Hartzheim for arranging the meeting and giving them a tour of the Toyota Center.